Marco Rubio plans advertising blitz in N.H. 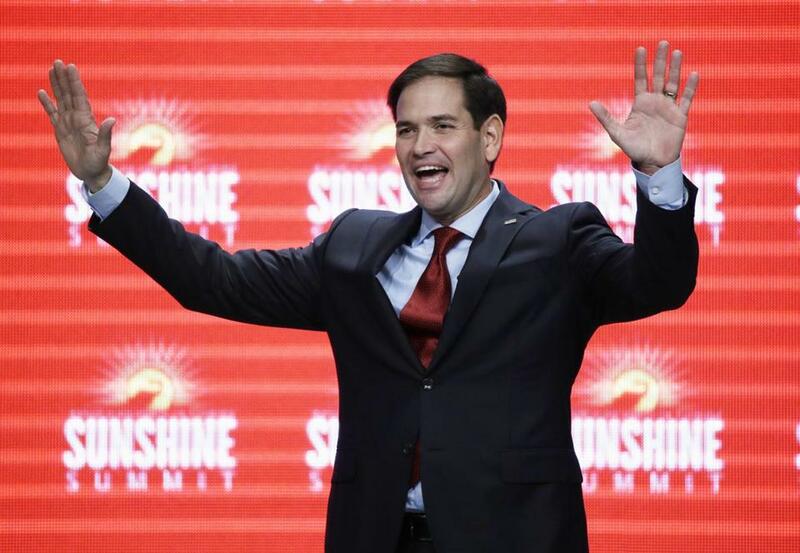 Senator Marco Rubio waved to the audience at the conclusion of his remarks at the Sunshine Summit in Orlando, Fla., last week. WASHINGTON — Senator Marco Rubio is preparing a New Hampshire advertising blitz in the final weeks before the first-in-the-nation presidential primary, challenging rival Republican Jeb Bush for airwaves dominance and highlighting the Granite State’s importance to his nomination hopes. Rubio and an outside group supporting him have already reserved more than 1,900 spots — representing $2.8 million worth of television ads — on Manchester-based WMUR-TV, the state’s dominant television station, according to a Globe review of documents filed with the Federal Communications Commission. The analysis shows Rubio is vacuuming up more advertising time than his rivals. The Dec. 1 start date for the spots will mark a turning point for the Florida senator, who has yet to air any ads in New Hampshire and who so far has kept a low profile in the state. Bush, whose campaign earlier this year built expectations that he would outspend all of his opponents, and the super PAC supporting him have reserved nearly 1,600 ads, spending more than $3.3 million. Because super PACs do not receive the same rate discount required for candidates, and Bush’s super PAC is carrying a heavier load, the Bush groups are spending more money but reserving less ad time than Rubio. The event is at 7 p.m. at the city’s DCU center and will be Trump’s third appearance in Mass. in recent months. The first wave of ads generally are gauzy promotions of each candidate’s record and biography. That promises to change after the holidays. “After the first of the year, that’s when the gloves will come off,” said Tom Rath, a longtime New Hampshire Republican operative who is advising the campaign of Governor John Kasich of Ohio. On the Democratic side, Hillary Clinton has been vastly outspending rival Bernie Sanders, with about $1.5 million in ads to his $350,000. But some of the Republican candidates have outspent her on air. The two leading candidates in early primary states have spent almost nothing on the air in New Hampshire so far. Retired brain surgeon Ben Carson has aired about 175 ads, spending a meager $122,000. 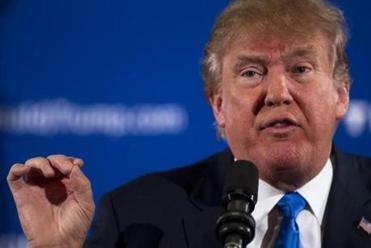 Casino and real estate mogul Donald Trump has yet to advertise on WMUR or reserve time for the crucial winter stretch before voters head to the polls. Senator Ted Cruz, increasingly on the rise as he courts archconservatives, has been absent, too. The trend indicates advertising spending is only one of many factors in success. Candidates such as Bush, Kasich, and Chris Christie have been spending heavily on the air in New Hampshire. Christie and his super PAC have aired 825 ads, and he’s reserved time to air 1,100 over the next three months. All three candidates are struggling in the polls. CMAG released an analysis showing that $141 million has been spent or reserved by Republican presidential advertisers nationwide, compared with $22 million by Democrats. The analysis also showed just how dominant political ad spending has become on WMUR. Last week, presidential advertisers made up 18 percent of all ads on WMUR, versus 7 percent for leading Iowa stations in Des Moines and Cedar Rapids. WMUR, the Manchester ABC affiliate, is one of the state’s few broadcast options, so candidates pour money into its coffers. They can advertise on Boston stations, but with much higher costs. And most of their viewers don’t vote in New Hampshire. Buying and reserving time is complex. Candidates can reserve time far in advance of the election, trying to secure lower rates and the best slots for their ads. But stations are required to treat all candidates fairly, which means another candidate can demand time and force the station to find a way to air the ads. “We at WMUR always work hard to comply with the FCC’s ‘equal time’ rule and ‘reasonable access’ guidelines and would make every effort to accommodate candidate ads, even up to the day before election,” said Jeff Bartlett, the general manager at WMUR. Super PACs and other outside groups are playing a far more dominant role on the air than the actual campaigns, according to the Globe review. Rubio, for example, hasn’t spent any money in New Hampshire but a nonprofit group called Conservative Solutions Project has dropped $1.5 million in support of his candidacy. The group is run by several operatives who have past ties to Rubio, but because it is a nonprofit, it doesn’t have to disclose its donors. Watchdog groups have criticized such “dark money’’ spending because voters have no way of knowing who is spending millions to influence the election. Rubio has been asked where the money comes from. Nonprofits and super PACs (which must disclose contributions and sources) can accept unlimited donations. But they can’t coordinate with the campaigns. And they are charged a much higher rate for the ads. For example, on a Monday evening in late September, Bush’s campaign and his super PAC both aired 30-second ads on WMUR’s show ‘’New Hampshire Chronicle.’’ The super PAC was charged $4,000 for its spot, while the Bush campaign was charged $800. Similarly, Rubio is planning to spend much less on his upcoming ads as the super PAC supporting him is planning to spend on similar ads.